How about a mountain bike that will be a perfect companion on interesting trails and around mysterious woods? The best mountain bikes under $1000 are reserved for riders who need solid performance at reasonable price. Fun and performance are guaranteed, especially when you look for the specific style. These bikes are usually equipped with 27.5 wheels, which is a good option for any kind of usual off-road exploration. Other wheel sizes are available for models with different characteristics. In most cases, you will get solid equipment and good handling options that are combined in the right way. What are the Riding Requirements? 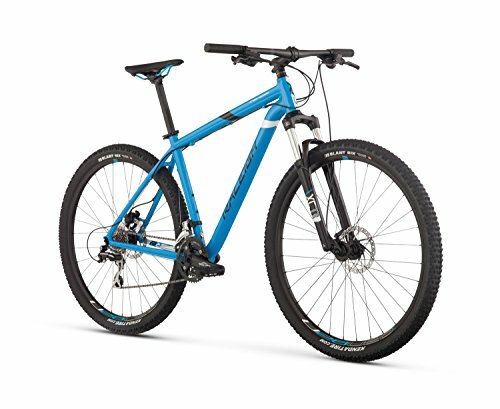 What Frame size and frame built is appropriate? What wheel size is appropriate? To do away with all the confusion below is a list of mountain bikes that fits the budget perfectly while providing features that are perfect for a range of users. These products are picked from a list spreading thousands according to their specs and user reviews. So, one can expect good value for money from these products. Diamondback doesn’t rest on their laurels. They constantly design and manufacture quality bikes. This time, we have the Diamondback Overdrive 29 Hardtail mountain bike. And it certainly deserves to be in this list. It has the tried and true 6061-T6 aluminum alloy frame. Being able to weld easily, this alloy ensures every piece of the frame joins neatly to the next, creating this masterpiece that holds all other parts of the bike together. Then, when you do go out, pushing this bike to its limit won’t deter the bike from taking you where you want to go. The 6061 aluminum is highly durable and ensures the Overdrive stands the test of time. We know you’ll be riding on rough terrain. That’s what mountain bikes are made for. Diamondback knows this as well and has designed a bike perfect for this kind of ride. The overdrive has impressive 29inch wheels. These wheels are unperturbed by obstacles. They don’t cower from rough terrains. Whenever you encounter a tree root on your path, the 29-inch wheels will effortlessly roll over it. And if it encounters tiny rocks, it’ll simply go over them as well. The wheels underscore the bicycle’s rugged pedigree. Keeping the ride bearable is the state of the art Suntour suspension fork. The bumpier the terrain gets, the more the suspension adjusts to ensure you remain as comfortable as possible. The fork absorbs the discomfort, so you don’t have to. And when you’re on asphalt and don’t need them, you can adjust the suspension to stiffen as you speed off on the smooth road. Still, the suspension forks don’t work alone. As Diamondback always do, they have fitted the amazing Shimano 8 speed drivetrain in the Overdrive. So, if you’re on a beaten track, there’s going to be a perfect gear for the terrain. If you’re ascending, simply select the appropriate gear and the Shimano will respond reliably, making the ascent easier. The 8-speed drivetrain adjusts instinctively as you select the gear on the handle. Everything works like clockwork, all to give you an enjoyable riding experience. To keep you in total control, the Overdrive has Tektro mechanical disc brakes which can bring you to a halt in a matter of seconds. And we know the difference between an accident and a close shave is only a few seconds. With these mechanical brakes, you could be at a staggering speed in on minute, only to ground to a halt in the next, avoiding possible injuries in the process. Lightweight and highly durable aluminum frame. SR Suntour suspension fork for added control. Tektro disc brakes for safety. Large diameter wheels to roll over bigger holes and help you avoid obstacles. Improved traction for climbs and steep trails. Seat is not very comfortable. Requires some assembly before it is ready for use. Mountain biking is all about getting the right gear. You need to make sure that you are buying the right piece of equipment that will combine stiffness with lightweight. The hand-built 6061-T6 aluminum alloy is the perfect material for a sturdy MTB that will last for long. You can rely on this amazing bike as it is designed to help you overcome obstacles wherever you want to go. The custom formed and butted tubing ensures that this bike will not weigh you down. It is the best MTB to buy if you want to feel free and explore wild terrains safely and comfortably. It comes with wide wheels of 27.5 inches in diameter. These are designed to provide quick maneuver in case of obstacles and will roll over big holes. You can rest assured that no matter how rough your trail is, you will be able to ride comfortably and in style. The knobby wheels are the perfect size that will provide maximum traction. The disc brakes are very responsive and will not disappoint you when you are trying to explore rough terrains on your own. The bike features a 4 inch Suntour suspension fork that delivers 80 mm of suspension for control. It comes with 3 gears in the front and 8 at the back. You can choose between 24 different speeds to travel freely. This MTB is designed to keep you confident, comfortable and safe as you push the limits. Whether you are looking for a great beginner’s bike or looking for a high-quality upgrade, this one should be on your list. Lightweight aluminum alloy frame that doesn’t bend or rust. Knobby wheels that will keep your bike stable. 24 speeds to choose from. There is an issue with quality control. You will have to adjust some parts before your bike is ready for use. The bike can be a little bit heavier than other models of the same size. This rather affordable MTB is the best option if you want to ride in style and still don’t want to break the bank. It comes in various colors that you can choose from, making it the best MTB for everyone in the family. Its lightweight frame will not break or bend. It is also very easy to control and this is why a lot of people believe that it is the perfect beginner’s bike. It comes with front and rear disc brakes for maximum safety and control. If you are not really sure about your mountain biking skills then this is definitely one of the bikes that you should consider. The adjustable front and rear suspension is the best to allow for maximum control. Regardless of the nature of the trail you are exploring, you can ride safely knowing that your bike is designed to keep you safe. It also comes with easy to use Shimano shifters that are very easy to use. You don’t have to be an expert to control and ride this MTB as it is one of the easiest and most comfortable bikes on the market. It also comes with double rim lightweight wheels that will withstand the obstacles you are most likely going to encounter. It features a comfortable seat that will not strain your muscles when you spend long hours biking. There is nothing complicated about maintaining this bike either. The front and rear wheels release quickly so you can easily change and fix them. It comes in different sizes to suit various body frames. Get the suitable one for you and everyone in the family and spend some quality time mountain biking and bonding. 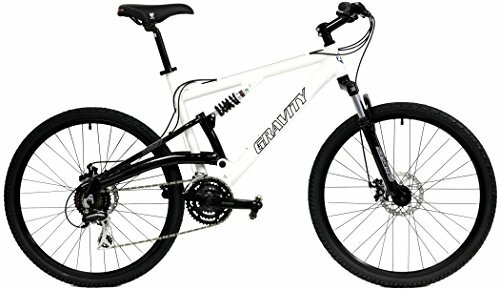 Affordable and lightweight entry level MTB. Front and rear brakes for better response. Double wall wheels that release quickly in case you want to change them. Different sizes and colors to suit various members of the family. No room for a kickstand or a water bottle. It is not designed for extremely challenging terrains or experienced mountain bikers. 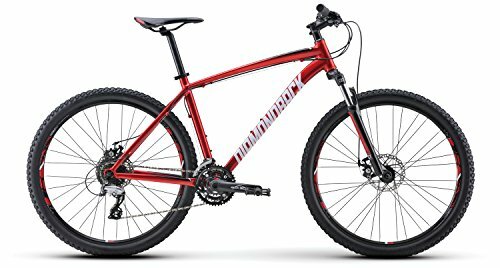 Diamondback Bicycles Recoil 29er Full Suspension Mountain Bike is another best one from Diamondback, which has got a surge in feature list and provided the best of everything. The 6061-T6 aluminum alloy body frame with tubing design makes the bike lightweight yet sturdy and durable enough for extreme rugged usage. The front and dual suspensions are at the place for making the rides as much comfortable as possible. Riding on rough terrains means control of speed that is taken care of by Shimano 24 speed gearbox with front and rear derailleur. 29-inch wheels provide better grips and speed while the safety lists check the box for Tektro Aires mechanical disc brakes at both front and rear of the bike. Tubing design for rugged use. Dual suspension for a comfortable ride. Front and rear disc brakes that allow you to stop whenever you feel like it. Big 29 inches wheels that provide better traction on rough trails. The bike is heavy compared to other products on the market. 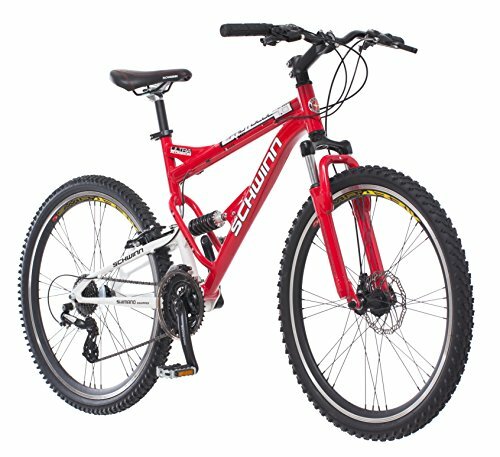 This is a budget friendly mountain bike suitable for beginners and people who want a responsive reliable ride. The full suspension frame is very lightweight yet durable and sturdy. You can rest assured that it will stay in shape even when challenged by various obstacles on the trail. It is the perfect MTB to absorb the shocks and bumps you will have to deal with as you experiment with mountain biking. This means that your upper body will not have to endure various shocks which allows you to ride your bike for longer periods of time. The bike features fast and smooth shifting with a wide gear range giving you various options while riding. It will give you the freedom to climb the toughest hills or dive through the deepest ravines knowing that you have got a piece of equipment that will not let you down. This is one of the best mountain bikes within budget, that you can depend on as you explore wild trails since it features front and rear brakes. The front disc brakes and rear alloy V brakes work hand in hand to stop your bike whenever you feel like it, ensuring that you have the most comfortable and safest ride even if you are not an expert. Although this MTB is not expensive, it comes with high-quality knobby tires with strong rims. These tires are durable enough to endure the conditions of every day riding in addition to the obstacles you might face on challenging trails. The Schwinn alloy crank offers the best gearing which ensures that you will spend less time and money on regular maintenance. Absorbs shocks to protect your body and allow for longer rides. Smooth gear shifting with various speeds. Doesn’t come with clear instructions for assembly. Heavy compared to other bikes of the same size. The Montague Paratrooper Mountain Folding Bike is one of its kinds. The design was conceptualized for deployment on the battlefield for paratroopers. The built quality one can expect from this kind of design is obviously unquestionable. Within 20 second its can be fold in 36?x28?x12 size. The bike sports a very lightweight body and super durability by its minimalized but compact frame. This bike sports 27-speed gears for fine tuning control and also 26-inch wheels enhance maneuverability across various terrains. To add to the safety factor, this bike comes with mechanical brakes and front and rear. Very practical design that folds for easy storage and better portability. 24 speeds for more riding options. Quick mechanical disc brakes for reliable response. Made using standard components for easy maintenance. Reliable suspension fork to overcome the obstacles. The beautiful curve of the tube. The spectacular large wheels. This bike makes a statement and is for those who are bold and outgoing. Diamondback gives us another outdoor machine; the Diamondback Recoil 29er Mountain Bike. And just as its name suggests, it has 29-inch wheels. These wheels give the bike a confident mien. They raise the Recoil to assume an assertive stance. You just have to trust that it can handle any situation in the rugged path you’ll take it. And it does. The wheels aren’t easily perturbed by obstacles. They will gracefully climb over them and still maintain a good comfortable ride. Working with these wheels to keep the ride smooth is the Suntour XCT suspension fork. As you ride along the rough and bumpy path, the Suntour XCT will work hard to absorb as much of the discomfort as it possibly can. And it does this with gusto, keeping your ride bearable. This fork provides 100 mm of effortless shock absorption. Working in cahoots with it is the rear suspension that munches up the bumps from rocks and tree roots that you’re most likely going to come across. You still have a say on how the ride feels like. The trusted Shimano 3 X 8-speed drivetrain hands you the power to select from the available 24 gears at your disposal. Make the shift and the front and rear derailleurs respond to transform your ride almost intuitively. All parts of the drivetrain work together to deliver a smooth ride no matter the terrain. Then, when you want to come to a stop, the Tektro Aires mechanical braking system responds at your command. These brakes are so efficient that they deliver a similar response in all weather conditions. Whether you’re reducing speed or coming to a complete halt, the Texters will keep you in total control. A sturdy MTB for those who like challenges. Big 29 inches wheels that will glide smoothly over various obstacles. Suntour XCT suspension fork that provides 100 mm of shock absorption so that you have a bearable ride in spite of the challenges. Quick gear shifting with 24 speeds available. Responsive brakes in all weather conditions. Seat is not cushioned enough. Coming in, right at the edge of the list is the premium quality BEIOU Toray T700. This can perhaps be categorized as a superbike. It’s made of a carbon fiber frame. Carbon fiber is a preferred material in making luxury car bodies. And here we are with a mountain bike under 1000 with the same build. But that’s not the only cause, and we love it. Carbon fiber is also a highly durable yet lightweight material. It gives the bike a durability that’s not found on other bikes in this list. It also grants you the capacity to push it to its maximum speed. Keeping you moving are the 26-inch wheels. These are attached to the hydraulic suspension forks. What this collaboration does, is they provide a smooth ride as you race along on rough terrain. The suspension forks will absorb the bumps as the ample wheels will simply roll over the stones, pebbles and rocks with ease. You, on the other hand, remain comfortably perched on the saddle. As you race along, there’ll come a time when you’ll need to come to a complete halt in an instant. To ensure you remain at the top of this, the Toray has a mechanical wire disc brake system that is known for its reliability in dry or wet conditions. Just by pulling on the brake levers on the handles, the bike immediately responds and alters the speed to keep you in total control. And, of course, this wouldn’t be a proper mountain bike without the right drivetrain. BEIOU have also done this properly. They’ve gone for the popular Shimano drivetrain system. And Shimano isn’t popular for nothing. This system provides 24 gear speed selections that work responsively on your shift command. Whether you’re ascending or descending or even on flat ground, you’ll find the ride to be spectacular thanks to the Shimano. Extremely lightweight and sturdy frame made of carbon fiber for maximum durability. Hydraulic suspension forks that work to absorb the shocks from the obstacles you encounter on rough trails. Wire disc system that works reliably in dry or wet conditions. 24 speeds to choose the most suitable one depending on the nature of the trail. 26 inches wheels that slide over small pebbles and rocks without disturbing your comfort. The fork is not extremely strong. Mountain bikers are always looking for something that will combine high-quality with durability. This mountain bike is built to last and doesn’t break the bank. It is the best bike to use on rough trails as it is designed to help you maintain your momentum. The manufactures of this bike understand that comfort is a great issue so they paid special attention to the suspension fork. The Suntour XCT suspension fork offers 100 mm of shock absorption that will smooth out your ride regardless of how big and challenging the trail might seem. Moreover, the big 29 inches wheels will slide over big holes and pebbles so you can rest assured that you will maintain your speed. This bike features 24 speeds and Tektro Auriga hydraulic brakes. These are extremely responsive and will allow you to stop your MTB in all weather conditions. With this strong stopping power, your bike will stop fast and precisely wherever you want it to stop. This is a great bike to buy if you are not an expert. It comes almost assembled and will take from 30 to 120 minutes to be ready for your upcoming ride. You can also take it to the nearest bike shop if you want to hit the trail fast. This is a good looking bike that will not disappoint you. Reliable suspension fork with 100 mm of shock absorption. Big wheels that roll over small obstacles easily. The fork doesn’t offer much rebound. Diamondback Bicycles Line Hard Tail Complete Mountain Bike comes under the list of best mtbs under 1000 but, in performance, this bike can compete with those in the few thousands bucks price range. The lightweight body is made of 6061-T6 aluminum alloy, light and durable with single front suspension design. The front suspension is a Suntour 120mm adjustable suspension fork that can easily take on rugged terrains with comfort. With the advantage of 1×9 gears, this is simple to operate, yet gives enough control for every type of city and off road rides. The wheels display 27.5-inch tires with 2.35-inch width, which provides ultimate control and maneuvering. The safety factor is taken care of by dual hydraulic disk brakes from Tektro flaunting 180mm and 160mm rotors for front and rear wheels respectively. Specially designed frame with a low center of gravity to keep you stable at maximum speed. Hydraulic disc brakes for better stopping experience. 5 inches knobby wheels that provide improved traction on slippery trails. Reliable suspension fork that offers 120 mm of shock absorption. Comes in various sizes to suit different body frames. Before buying a mountain bike, one needs to consider few things. These will not only help in prioritizing a choice but will also help in pinpointing the required features. The large choice of products in the market may confuse a buyer. The below points will help one decide easily. Decision for use is of utmost importance. Using a mountain bike for city rides and occasional off-roading is a common choice for users. For this kind of use, having dual suspension with dual disc brakes are not a necessity. At the same time is someone is purchasing a mountain bike for serious off-roading activities having the features mentioned here becomes a necessity. This can attract additional costing where budget may increase. This is one of the main factors behind making a selection. The more the budget is, one can expect better quality and features. Buying the best mountain bike under 1000 dollars will be easier since the budget is static here and all the bikes mentioned above comes with some of the best features and does not exceed the selected price range. Since mountain bikes can be used for many factors, the choice of build and weight does matter. Some bikes are made of metal alloys that are heavier than aluminum alloy bikes. Carbon fiber bikes are the lightest in bike category but also fetch way above the $1000 price range so that this choice can be eliminated. But within this price tag, several bikes offer durable, tough and yet lightweight build quality. It is always good to remember that with rising price, comes betterment in quality and features. One needs to consider what he/she will be using the bike for. There are two types of mountain bikes available. First is the hard trail mountain bike. This bike has suspension in the only front wheel. It is perfect for use on a daily basis city riding, occasional off-roading and other less rough usage. This is a perfect getaway bike for people who love to ride the streets with weekend fun. It’s lighter, simple and comes with a lower budget. Next comes the full suspension bikes. These have suspension at both the front and rear wheels. Of course, these are a little heavier but offers the most comfortable ride on rough terrains. These are perfect for beginner professionals and serious hobbyists. The frame is the main structure of the body. Frames are available in Aluminum, other metal alloys and carbon fiber. Aluminum has the advantage of being both lighter and strong while other metal alloys can be durable but on the heavier side of weighing scale. Carob fiber is very strong and ultra-light but fetches a higher budget which may exceed far above the $1000 price range. Wheel size is directly proportionate to how easy and fast one can accelerate and maneuver his / her bike. With increasing wheel size, maneuverability and control decrease while speed increases because, with each pedal, the wheel covers more area since the wheel size increases. Riding conditions: Smooth roads and rough terrains. 24 inches –This size is very easy to control and maneuver but less speed. 26 inches –This size has good control and normal speed. 27.5 inches – Best size for perfect maneuverability, control and speed. 29 inches –Used in high-speed bikes but harder to control on rough terrain. The brake system is available in two types: Rim brakes and disc brakes. Rim brakes are easy to maintain and work with but they are not efficient in muddy or wet conditions. While disc brakes are very efficient and provide higher safety than rim brakes but harder to service. Mountain bikes offer the choice of gear selection which ranges from as low as 18 speeds to even 27 speeds and more. Gears offer variation in speed as well as control when trekking on rough terrains where one needs to control the speed of descent rapidly. 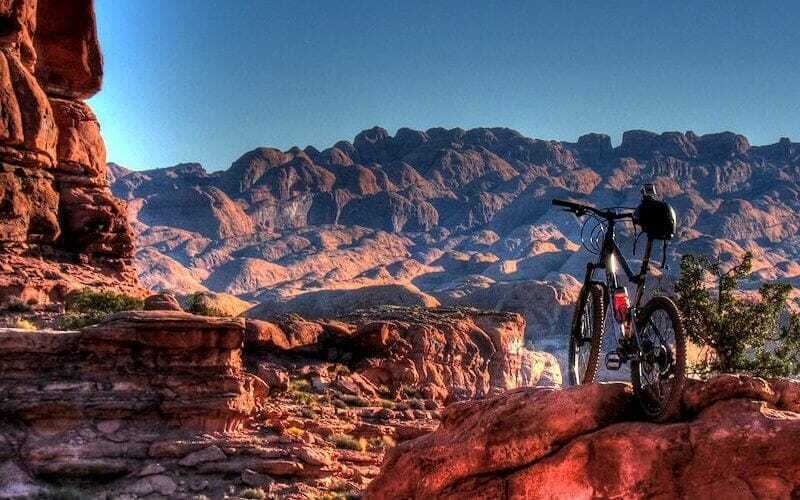 While mountain biking may be a hobby or a casual time pass for people, it is important to note that finding the right bike is a serious matter. User comfort and getting the intended usage from the bike depends on the selection of the right bike. This is the reason one needs to research and make up their mind about the choice. It is impossible to select through an inventory of a couple of hundreds and more bikes available. The above article will not only narrow down the selection but is also a guide for choosing what one might need for fulfilling their biking requirement. The above bikes have been selected from a huge list and are among the best mountain bikes under 1000 that gives the most value for money and also rated higher by the users of the bikes.